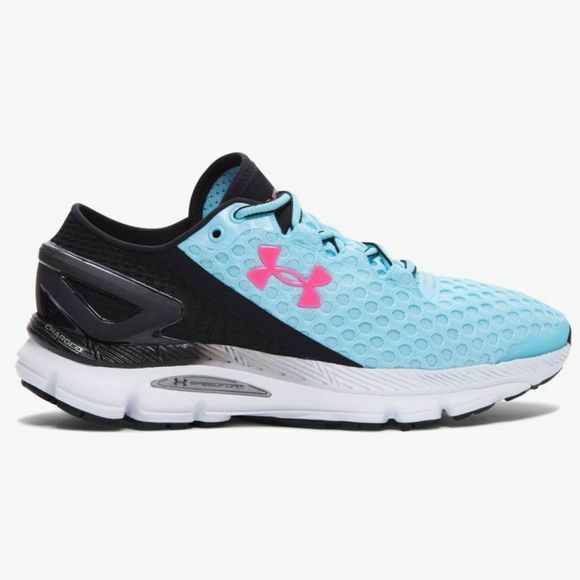 Bringing you unbelievable comfort, Under Armour Womens SpeedForm Gemini 2 shoes with its precision fit, will make you want to head off for a run straight away. Using its innovative UA SpeedForm® Technology, your feet will be the last thing to distract you whilst running. A molded toe cap offers added support and durability with added cushioning thanks to the embedded sockliner within the cavity of the midsole. Providing you with the precision fit, comfort and feel that you'd normally obtain from clothing. Supporting and cushioning every step, whilst transforming those cushioned landings into your next stride to the skies. Absorbing impacts from your first step and provides you with power for the next.